Perhaps the most fantastic of yellow gems, yellow diamonds are gaining popularity. These gems range from muted brownish hues to vivid yellows with hints of orange or green, and combine beautiful color with the durability and brilliance of diamond. Yellow hues aren’t as uncommon as other diamond colors, but can reach higher levels of saturation than most fancy colored diamonds. 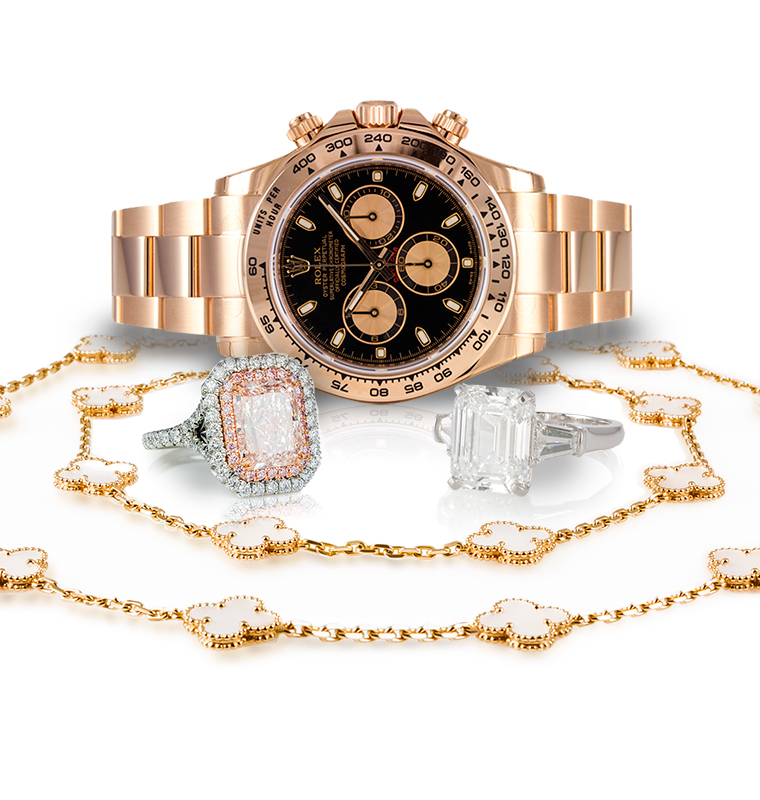 The high demand for these gems keeps prices comparable to white diamonds. However, the four Cs of fancy colored yellow diamonds vary greatly from standards for colorless or white diamonds. Before you consider buying a yellow diamond, learn about their distinct value factors. The IGS colored diamond value listing has price guidelines for natural and irradiated fancy colored yellow diamonds. While cut is the most important value factor for colorless diamonds, color is the most important aspect for evaluating fancy colored diamonds. Hue, tone, and saturation are the three constituent components of color. Secondary green or orange hues may be present in yellow diamonds, and either will raise its price. Of these, orange hues are preferable. Unfortunately, green hues occur more commonly. They can impart a murky appearance to the stone. 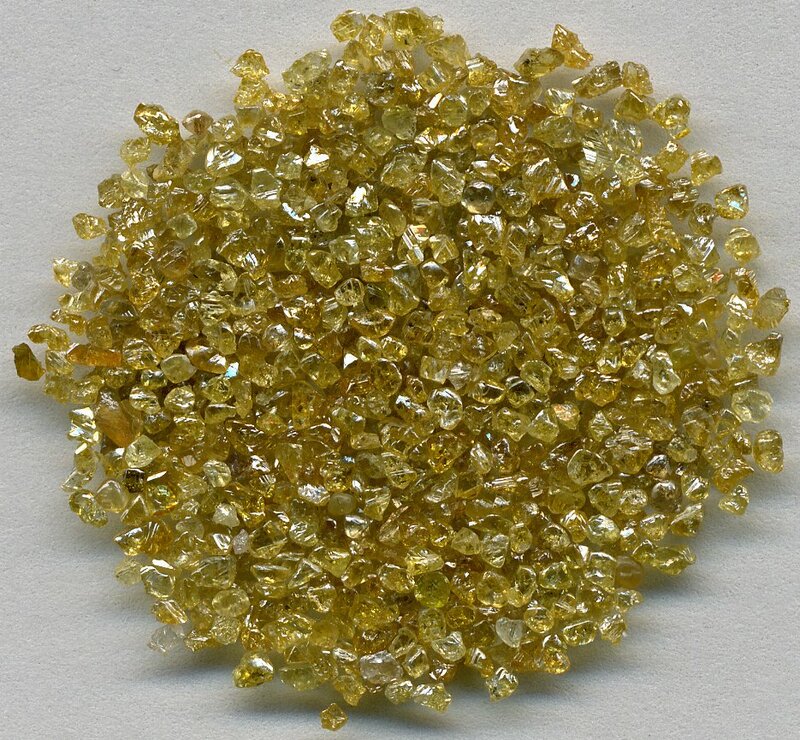 Yellow diamonds with low saturation will appear brown or grey. While grey gives the stone a dull look, brown can give it warmth. However, a brown secondary hue will reduce price significantly. Notably, Gemological Institute of America (GIA) reports don’t mention grey as a hue. (Although people commonly refer to brown and grey as colors, the terms “brown” and “grey” reflect levels of saturation and tone). A tone of about 20% is optimal for yellow hues, yielding a bright stone in well-saturated specimens. Darker tones tend toward brown or, occasionally, green. Most consumers are more familiar with colorless diamonds and have heard of the GIA’s D-Z color scale for grading diamonds. Gemologists use this scale to determine the amount of yellow tint in a colorless diamond’s body color. Anything with more yellow than a “Z” is fancy. Unlike colorless diamonds, whose body color determines grade, experts grade fancy colored diamonds face-up, evaluating the color as it appears in set jewelry. The GIA rates gems as Fancy Light, Fancy, Fancy Dark, Fancy Deep, Fancy Intense, or Fancy Vivid. These designations result from assessing both the gem’s tone and saturation. The GIA’s colored diamond color reference chart shows examples of diamonds that fall in each of these categories. For yellow hues, as saturation increases in light-toned gems, the designation goes from fancy light to fancy, fancy intense, and fancy vivid. The term “canary diamonds” refers to fancy intense and fancy vivid stones. For gems with low saturation, as tone increases, a diamond will go from fancy light to fancy, and then to fancy dark. If both saturation and tone are strong, the gem is fancy deep. Note that both fancy and fancy deep designations encompass wide ranges of values of saturation and tone. Because diamond color can vary greatly within GIA designations, make sure to examine your next purchase in both natural and artificial light. Furthermore, take care when buying from an online vendor. Not all websites have good pictures of their wares.